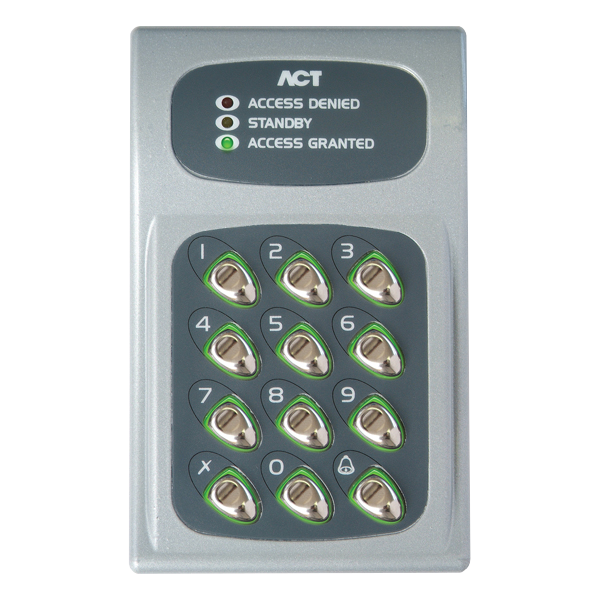 The ACT 5e digital keypad is a simple to use and easy to install standalone access control product. Keypad backlighting enhances functionality at night or in poor light conditions. 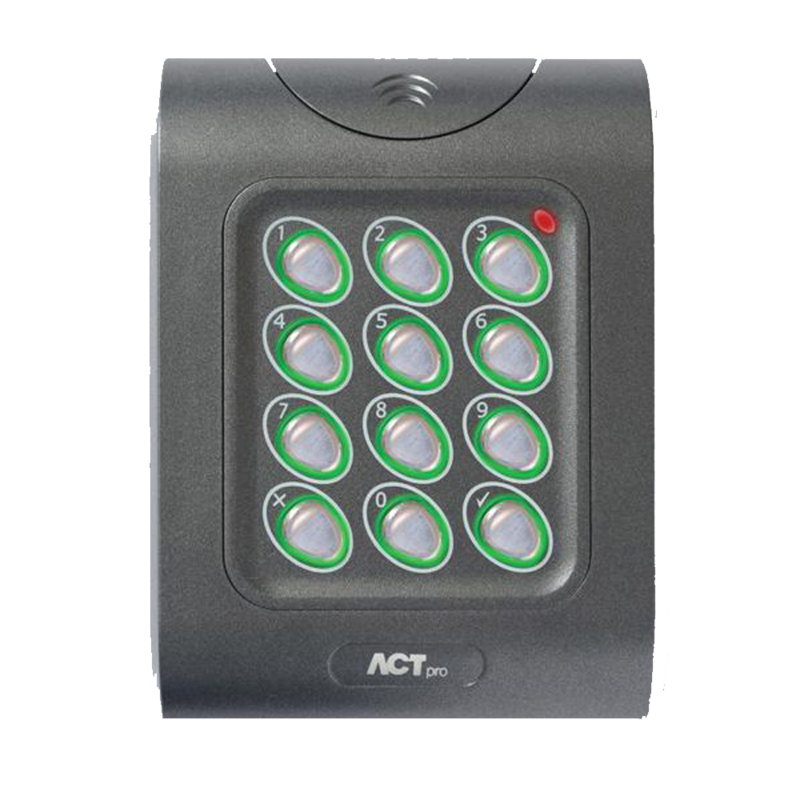 The ACT 5e access control keypad is contained in a stylish polycarbonate housing, with stainless steel keys and potted electronics, allowing for indoor and outdoor installation. The ACT 5e may be surface or flush mounted on to a standard single gang electrical back box. The ACTpro 1060e is a pin reader for use with the ACTpro range of products. The ACTpro 1060e can be surface or flush mounted and is suited to both indoor and outdoor installation. 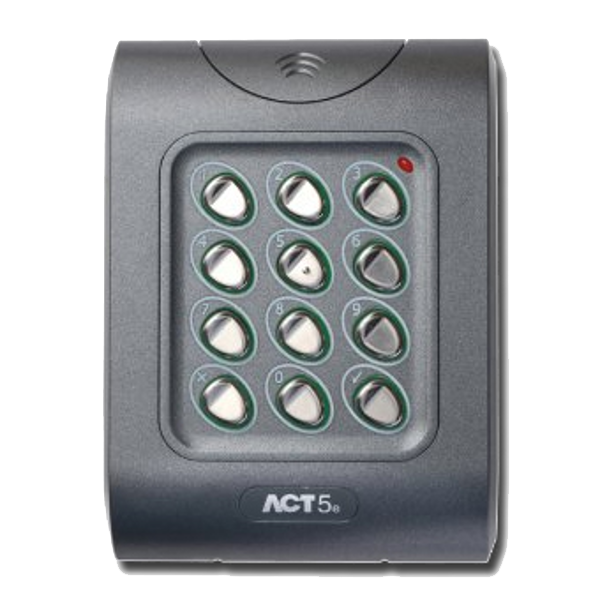 ACTpro access control solution is a scalable card access control system.